The entire country was given a holiday today ! but AP worked 1 hour extra ! 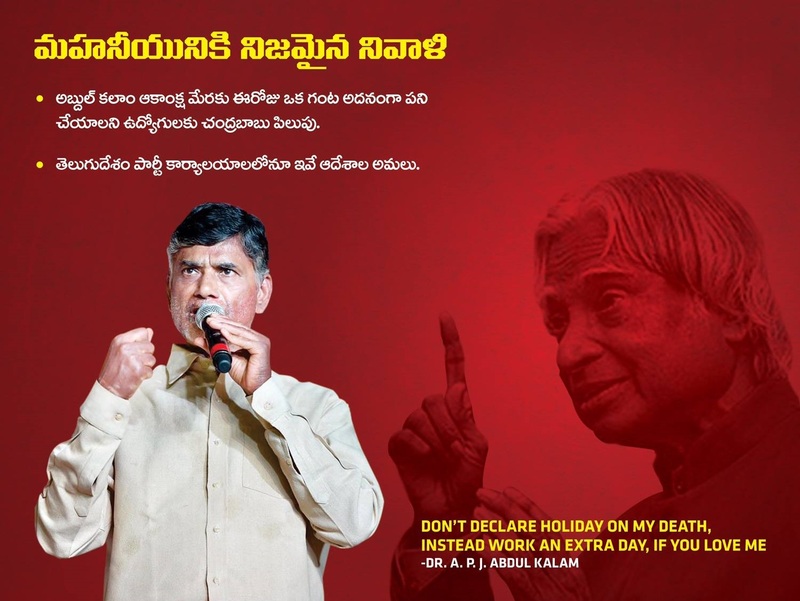 AP CM Chandrababu was probably one of the only people who followed Dr. Kallam's wish that there should not be a holiday upon his death.